A Request for Quotation (RFQ) is a standard financial process whereby suppliers are invited (requested) to start a bidding process, leading to bidding on specific services and products. A Quote request will commonly involve more than the price per item and may include matters such as payment terms, contract periods, or quality levels. All these matters will be included in the bidding process period. Quote request include specifications of the items to be traded to make sure all bidding parties are bidding on the same items. More detailed specifications about the item or service on offer will result in a more reliable demand factor. Quote trading will become more comparable with the addition of al relevant information about the product on offer. Detailed quotes can also serve as legal binding documentation for the suppliers that can later be used to enforce the bidding process. The suppliers of the trading items or services have to return the bidding by predefined date or period to be considered for the trade. The bid can commonly not end after the first bidding period. Multiple rounds of bidding can follow. The trading quote allows different traders to provide various quotations on the same item, commodity or service. The best quality or price will be selected by interested bidding parties. The potential for competitive bidding is increased as many suppliers can compare their prices with each other. Requests for quotations are most common to the financial sector but can also be implemented on domestic markets. How is quote trading used in the Forex trading market? forex brokers and dealers compete with one another by means of the lowest spreads offered to their investors. Some traders eliminate spreads and let investors pay for trades by commissions. Forex Quote trading will involve investors requesting quotes on spreads offered, commissions asked and currency prices. Investors will enter a quote request to their Forex broker. All quotes provided are real and binding and can be used for live trading. Forex brokers are then accountable for executing all placed orders to buy or sell forex for that particular quote. Investors will receive a quote, which is guaranteed for a set period (sometimes only 4 seconds). 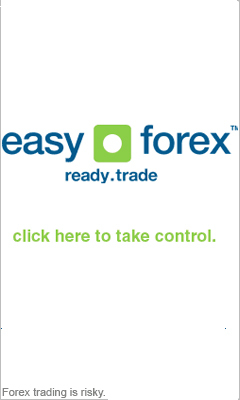 If you place your forex trade in this period, you will receive your forex trade price at that price. A foreign exchange quotes trading institution will supply quotation given by stating the number of units of "quote currency" that can be purchased in terms of 1 "base currency". For example, a trading Quote that says the EURUSD exchange rate is 1.5310 (1.5310 USD per EUR), the quote currency is USD and the base currency is EUR. When using a country's home currency as the price currency, it is referred to as direct quotation or price quotation (from that country's perspective). This principle is used by most countries. Using a country's home currency as the unit currency is known as indirect quotation or quantity quotation. This principle is common in Australia, New Zealand and the UK.